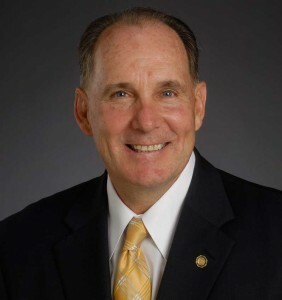 State Rep. Steve Barrar (R-160). “Senate Bill 1030 is the result of Republicans and Democrats in both the House and Senate coming together to pass legislation that has a real impact on the lives of Pennsylvanians and will help to save money through commonsense reforms to the Commonwealth’s Unemployment Compensation system. We put our differences aside to ensure that families who rely on their unemployment checks would not see a disruption of benefits. “The legislation will institute some important reforms to our unemployment compensation system, which is currently billions of dollars in debt to the federal government. The most important reform is the addition of active job search requirements as a condition of receiving unemployment benefits. Every other state in the nation stipulates job search requirements to receive unemployment compensation, and I do not think it is too much to ask. Unemployment compensation is an important bridge for people between jobs, and the main goal is to keep people on their feet until they can find gainful employment. More information about Barrar and his legislative priorities is available at SteveBarrar.com or Facebook.com/RepBarrar.